Spend some time on social media or any source of internet news and you'll soon find an article about body and health. At the same time, you'll notice an overwhelming number of advertisements and edited images, portraying overly slim woman or excessively muscular men. Whatever the case, it won't be long before you start comparing them your own body. We know that modern yoga can be used as a tool to bring the mind and body together, but could it help combat these negative influences? Let's take a look. For many of us, obesity is the first thing that comes to mind when we talk about body image. Not only is it considered, in many countries, to be the root of a lot of major health problems, but it's also the biggest aesthetic concern in modern western society. Most people don’t choose to diet or work out because they want to be healthier, but because they want to appear more attractive. But in yoga, we learn that how you feel outweighs how you look. It's important to monitor how your weight affects your cardiovascular and digestive health. Muscle and joint performance, and your over all ability to move, can start to decline the heavier you are. There are many yoga practitioners who don't fit societal standards of "thin" but still comfortably practice advanced poses. Yes, obesity is an epidemic all over the world, but it's not a death sentence. Do what you can with what you have because confidence is always attractive. A common image we see is that of the bulky male body, the "superhero body" Named for its constant occurrence in superhero movies. These bodies are meant to represent beauty in strength, but in many cases, they lack the necessary flexibility or muscle balance to be considered healthy. Big pecs inhibit optimal breathing. Large deltoids can lead to neck pain. Any over-development of a muscle group will reduce mobility, but in yoga, we strive for balance. The body should be both strong and flexible. The goal is to maximize mobility and develop the strength to constantly advance your practice. No two snowflakes are identical. They share similarities but they unique in their individual designs. Humans are no different. our similarities connect us as a species but our oddities provide character and make us individuals. But the contrast of the human form has caused some conflict, even within the yoga community. Traditional yoga practitioners can be somewhat rigid about how a pose is "supposed" to look. Thankfully, there's a new generation of teachers who believe that there is no specific alignment for each pose, that it dependant on one's body type. If you have deep hip sockets, you may never be able to achieve a traditional pigeon pose. Depending on your spinal alignment, you might not be able to do a full wheel. Some of us have thick bones, some have narrow hips, you name it. Overall, some of us have more physical limitations than others. 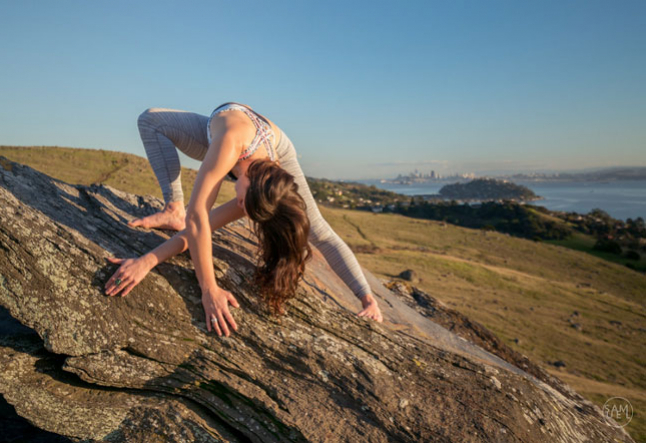 But instead of seeking to achieve one singular standard of "good" or "right" we can use yoga to embrace these physical limitations, and eventually better understand our mental and emotional ones. The takeaway? Never try to force yourself into a pose or into one narrow definition of what looks good. Respect your body and make it your goal to feel your best, regardless of what it "looks" like on the outside. All bodies have limitations. Some can do a perfect seated forward fold, others nail their crow. Outside the studio we might think some people are prettier, financially richer, healthier, and so on and so forth. We could spend years trying to reach some unattainable standard of beauty that we see in ads and magazines, but the most valuable thing we can learn from yoga is to accept our body exactly as it is. And most importantly, that our internal changes far outweigh our physical ones. When we're in a pose and we becoming critical of ourselves, thinking that those around us are better, we're missing the moment. Being present means accepting what is - our environment and our selves. And that acceptance can only happen in the presence of humility and gratitude. When we practice with gratitude, we're one step closer to the full experience of life, something we can apply on and off the mat.